In addition to listening to lots of new music by Swiss artists they are also checking out various music venues and auditoriums within the country. “Les Docks” is a venue with a 1000 audience capacity situated near the Flon area of Lausanne. It runs a full and varied programme of music events throughout the year and regularly invites Swiss, European and other world artists to play on its stages. 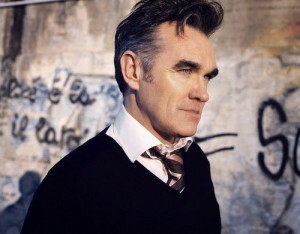 One of the artists due to perform on November 2nd is British singer Morrissey. 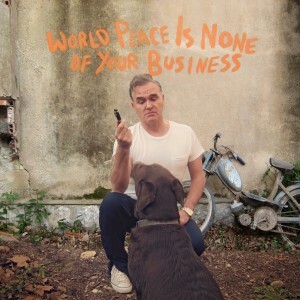 In July this year, Morrissey released his latest album “World Peace Is None Of Your Business”. In anticipation of Morrissey’s upcoming concert in Switzerland, David spoke to the artist and asked him about the new album, his views on the music industry, politics, bullfighting, Glastonbury, vegetarianism and Switzerland itself. David also discovered that Morrissey actually knows Lausanne quite well! David: You have always been outspoken in terms of certain issues within certain songs, but this entire album, particularly, seems to be very strongly political in (almost) its entirety. Have you become more political or do you feel that the times have become even more dire and you have felt more driven to express and question these issues? Morrissey: I could be wrong but I feel certain that Hitler did not win the war, yet we are all living under the jackboot and every country has its own version of authoritarian dictatorships. Everything has tensed up and people have never quite been so unhappy. Everybody wants change, and this fanatical discontent is obviously most evident in the Arab Spring. It emphasizes an unnerving hostility that most governments have towards the people who have elected them. I think it is time for constitutional reforms at every level because this is not 1940 – at least, not according to my calendar. 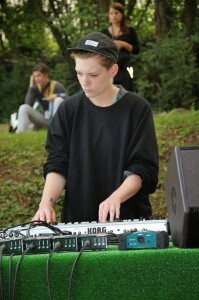 Back in July, David told us that he was listening to the music of Verveine, an electro singer from Vevey. 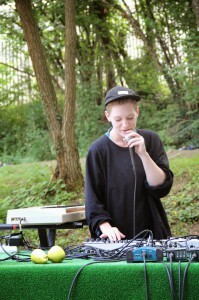 In August he went to see her perform at the “For Noise” festival in Pully (near Lausanne). The festival itself is set in stunning scenery and had plenty of big names on its line up this year from Blondie to Thurston Moore, Kaiser Chiefs, The Other Lives, Jean-Louis Murat and more. “For Noise” also showcased the best of local indie music. Verveine played to a packed Demovie Salon on the Saturday night of the festival to a crowd of enthusiastic people. After the show, feedback from the audience was very positive and Verveine kindly agreed to chat to David (in the early hours of the morning) for the Swiss Music Show. David: Can you define your kind of music? Verveine: My music is essentially an electronic music/hardware project. I don’t work with a computer and I am not a DJ. It’s live electronic music. I compose all the tracks by myself. I have been working for four and a half years on this current project. David: Your music seems almost cinematographic, spatial, ranging from basic electronic sounds to a much broader spectrum of sound. Is that how you see it? Verveine: Yes, I agree on the cinematographic comparison. Images inspire me first and then lead me to compose. Maybe one day I would love to work on a project for the cinema industry. Who knows. Having said that my music is very subjective. Each individual who listens to my music will see something different. I come from rock, but also from the culture of singing in a choir and classical music which I studied it for fifteen years. The instrumental and the harmonic construction are very important in my music. I am working hard on the harmonic aspect. It is not just using a kick and a snare like we usually hear in electronica, I create layers and try to look for equilibrium. I am more like a music director in a classical band but with machines. I started music by singing. That was one of my first “instruments” with the piano. When you add a voice to the music, it helps you to define your colour, your style, like a painter’s trick that makes him recognisable. The use of a voice is real plus when you think of all the possibilities that exist musically. I am a singer but not only because all this instrumental work is part of the same process. The voice is another way of expressing yourself. David: Do you think you will go on doing everything by yourself or are you ready to open up to other musicians? “Verveine” was originally conceived as a solo project but we’ll see what comes up next. I am really open to collaborating with other musicians. David: Now that the Swiss music scene is on the international map, do you want to explore the world with your music? Yes I put absolutely no geographical limit to my projects. I am lucky to start my career in Switzerland, we have a lot of advantages. I would love to travel around the world.